What is sleep? It sounds like an easy question, but the reality is it’s pretty complex. Everyone, from 1 to 100, needs sleep. The amount of sleep we need will change over the course of our lifetime, but we always need it. Do you ever stop and think about what sleep actually is and what happens to you after you drift away to dreamland? 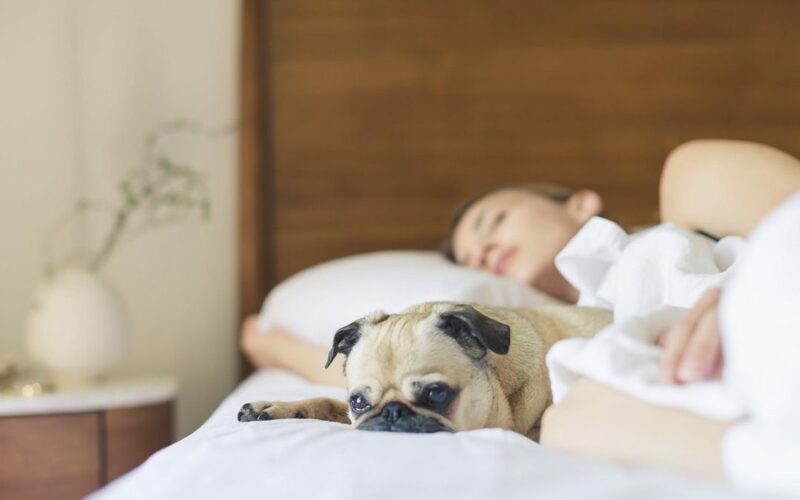 Whether you remember your dreams or not, whether you’re a light or a hard sleeper, whether you snore, you talk in your sleep, or whatever comfort level you prefer, sleep is essential and the general biological process is the same for everyone. If you’ve ever wanted to know everything about sleep, here is a short guide about the stages of sleep for you. Is seems simple to define, right. Sleep is the time when you can rest your body and brain for several hours during a 24 hour day. But researchers in the 1950s learned that sleep is so much more than turning off your brain. In fact, the brain is quite active but in a different way during this time. Proper sleep will positively affect the daily functioning of our minds and bodies. Conversely, without proper sleep, individuals can be deeply affected by poor sleep cycles. What we have learned is that the processing of sleeping can be broken down into several stages, all of which are important to our rest cycle. What are the Phases of Sleep? While the stages of sleep have been studied for a long time, they don’t always fit into neat patterns. In general, we experience them one after another, but especially within some of the deeper sleep phases, you may pass between them for in your cycle without even knowing it. Stage one is often referred to as “introduction to sleep.” This is where your body decides it’s more tired than you consciously determine. For example, you may nod off while watching a TV show, even if the show is a favorite. This is how your body gets ready for deeper sleep. Your muscles begin to relax and your brainwaves slow. It is very easy to be woken up in this stage either by others or just by random happenstance. Sometimes you may find yourself jerking awake or jumping, as if you want to convince the world you weren’t really asleep. Stage two is light sleep. This is a dreamless sleep that marks the beginning stages of real sleep. You will begin to experience a full body relaxation. You can be woken up from this stage with few consequences. Stages three and four are the deeper sleep phases. These are the sleep phases that can most be equated to plugging yourself in at night. Your body and brain go into a deeper sleep that will build up your physical and mental energy to be able to face the following day. When people don’t have healthy deep sleep, they may feel sluggish in both movement and thought during their waking hours. REM sleep is the one most people know by name but may not understand the process or ramifications. Standing for Rapid Eye Movement, this is the dreaming stage of sleep. Your brain is very active, but your body doesn’t move (unless you have a sleep disorder, but that’s a topic for a later time). But did you know that REM sleep not only improves overall brain function but is the process by which the brain creates memories. If you want to know more about the stages of sleep, Sleep.org or the American Sleep Association have additional resources. WebMD also has a guide to help you better understand the process in every day terms. Sleep Debt: Can You Catch Up On Sleep?